Hagley Hill Cattery is licensed by Bromsgrove Council and is set in approximately 2 acres of open country side overlooking Hagley Hall’s Deer Park, this provides a peaceful and tranquil environment during your cats stay with us. We are situated alongside the A456 at the top of Hagley Hill and are ideally located to serve the Stourbridge, Halesowen, Quinton and surrounding areas, this also allows excellent access to junctions 2 and 3 of the M5 motorway as many of our clients choose to drop off and collect their pet en-route to their holiday destination. Chalets comprise of a glazed interior sleeping compartment with cat flap to the external part of the pen, all pens have views some of which look out over the Deer Park. The cattery has undergone many improvements since being taken over by the current owners in 2012. We now have split level pens which comprise of two interior compartments with access via cat flap to the upper and lower areas, thus being very spacious. All pens have individual flat panel wall mounted heaters. 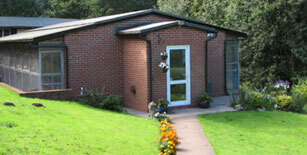 Our buildings where designed to keep your cat as comfortable as possible all year round. In summer time (weather permitting) we are able to remove the outer panels, leaving just the outer frame, this allows your cat to get plenty of fresh air when temperatures sore. During winter the panels are reinstated and the heating switched on. A monitored smoke and intruder alarm system, together with cctv is now in place for your added peace of mind, so you can relax knowing your pet will be safe whilst your away. If your pet should be unwell during their stay with us, we will either take them to your own vet ( if they are local to us) or ask the cattery vet (St Georges – Vets 2 You) to visit your pet here at the cattery. 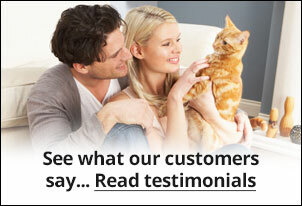 Any cost incurred would be added to your bill at the end of your pets stay. Please note: There would be no call out fee if the cattery vet (St Georges – Vets 2 You) is used, just the normal consultation and treatment fee, as if you had taken your cat for treatment yourself. If your cat is currently on medication and this needs to be administered during their stay, this will be done free of charge, unless veterinary assistance is needed. 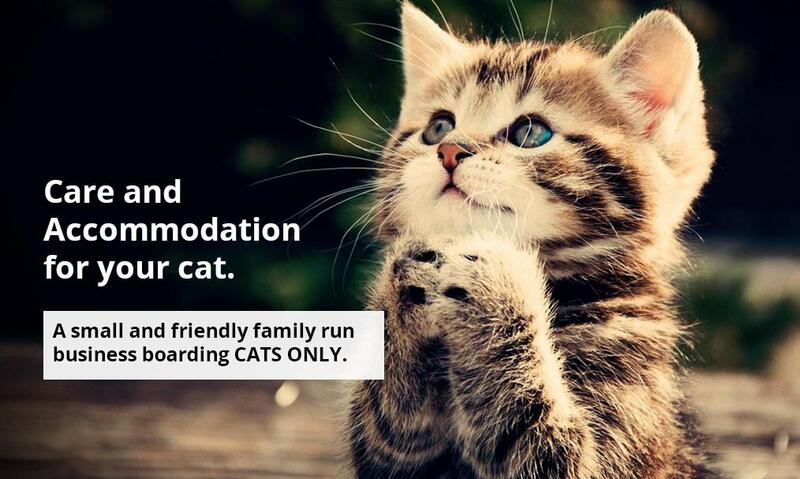 We will not board cats with contagious or infectious conditions. All cats must be up to date with flea, worm and tick treatments prior to boarding. Your cat/s must be fully vaccinated, however if your cats booster vaccination has lapsed, your vet may need to restart the vaccination programme. If this is the case you need to visit your vet at least 5/6 weeks before you wish to board at the cattery, as two separate injections need to be given normally three weeks apart, then boarding regulations suggest a further two weeks are allowed before boarding after the second vaccination has been given. All rights reserved © | Design by: Hummingbird Marketing.